“` Kermit the Frog is receiving a new voice. ABC News and the Hollywood Reporter are reporting: Steve Whitmire has left his role of giving life to the iconic Muppet. Whitmire has voiced the character since Muppets creator Jim Henson’s demise in 1990. A Muppets Studio spokesperson announced that longtime Muppets performer Matt Vogel will be taking over the role. He has voiced such characters as Big Bird and The Count. “` In addition to Kermit, Whitmire voiced the grumpy critic, Rizzo the Rat, the always-startled Beaker, and assorted characters for the Muppets. Children’s television have survived key cast member changes before; most notably, when Elmo puppeteer Kevin Clash departed Sesame Street in 2012, amid allegations he sexually abused underage teens. Elmo is now performed by Ryan Dillon. 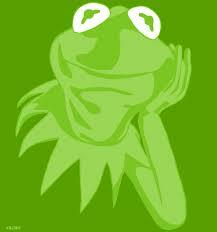 “`Kermit made his debut in the 1955 television program, Sam and Friends, which locally aired in Washington, DC. Kermit was fashioned from an old coat that belonged to Henson’s mother, and was named after one of Henson’s childhood friends. “`Representatives for Walt Disney Studios, which owns Muppets Studio, didn’t return a request for comment about the motivation behind the move; nor did Miss Piggy. This entry was posted on Monday, July 10th, 2017 at 9:31 pm	and is filed under Blog by Manny Pacheco. You can follow any comments to this post through the RSS 2.0 feed. Responses are currently closed, but you can trackback from your own site.